Why are you buying WBV? I've found that the easiest way to conceptualize this industry is by breaking it down into a tiered rating system. 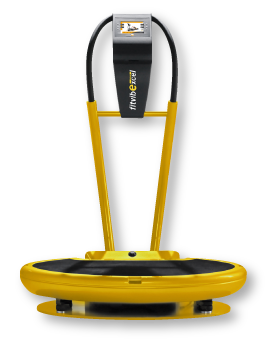 About 90% of customers end up purchasing a vibration machine from Tier 2 level. The rest choose Tier 1 or Tier 3. Tier 3 is composed of companies that use very confusing marketing for their brands. The reason is because 95% of those brands in this tier are actually “Re-brands” coming from the same 3 manufacturers in China. So these brands are usually almost identical to one another and so each company just makes up marketing hype to appear different than their competition. For this reason I have divided up Tier 2 into two sub levels, A and B. The lower the tier the more drawbacks it has versus benefits. So Tier 2B would have maybe a limited warranty for example versus a Brand from Tier 2A. Motors, Gforce, frequency range (tested with accelerometer..many test this based on bare motor speed with noone on the machine), Ballistic impact upon acceleration (too much pop), too much push, How clean the construction (off gassing of frame), EMF emmissitivity (Is it an AC or DC motor), ramp up time (how long you have to wait to get it to the speed), mechanical noise, and Customer Service. If you want specific information on each brand and how it rates on each of these categories please ask. Tier A machines must go to at least 22 or higher hertz and have a wide spectrum frequency and displacement. 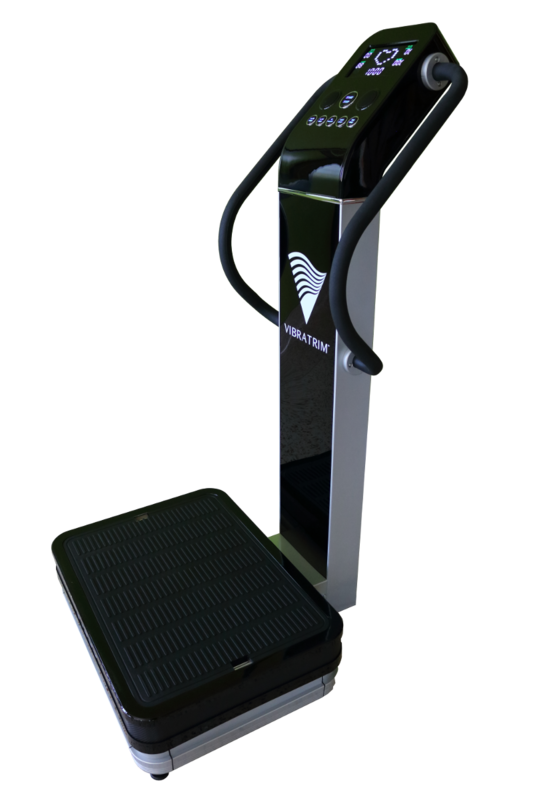 NOTE: I tell people 98% of the health benefits of using a wbv machine are not related to vibration. I am of course happy to consult with you by phone, email, or text to help find the best brand and model for your unique set of needs. Please look to us to be the one stop solution to figuring out how to choose the right machine without getting a headache in the process. Costco and Sams are now the largest retailers of vibration machines right now. The Nitrofit Personal+ (see my video on the left) and Zaaz 20K are the best sellers on the market right now. We are now selling Nitrofit+ as it has a 90 day gaurantee that the manufacture backs up like they do with Costco and Sams. The motor is 600 watts and has 13 amplitude. The Zaaz has 10 amplitude. 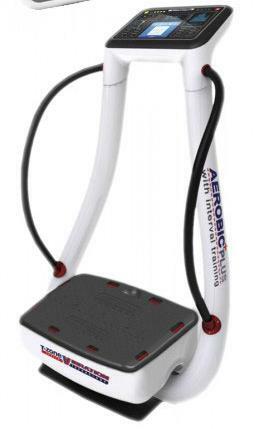 We have special prices on the Nitrofit Deluxe and Personal model throughout the holidays. We now promote the Tzone VT20 which is the same as the model at Sams and Costco. Many people are asking for a more affordable model so we found the Canadian label. They are both the same machines. We also compared the model on the (left picture) which is the upgrade version of the 20 model. The Tzone 20 and Zaaz 20 look identical in the picture on the right. Contact me if interested in the Tzone. It is much more affordable than paying the price at Sams and Costo and no sales tax too. 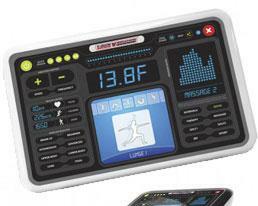 Get a free $710 dollar Biomat Mini with any T-zone VT20 purchase. You'll never guess what we found out. 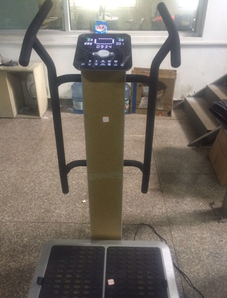 Ready to find a serious WBV machine? 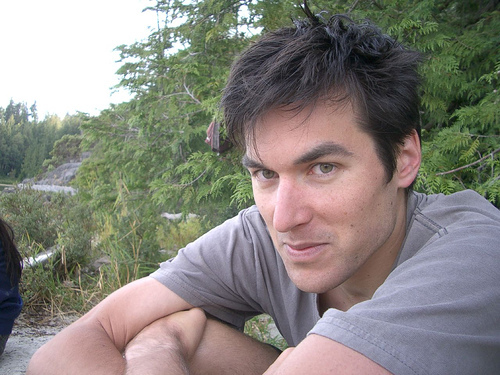 My videos and demonstrations are here for you. Updated regularly! Learn the difference between each machine before you buy. Hypergravity.net, the manufacturer, builds their machines near Los Angeles, California. All of their parts including motors are built and welded in the USA. Their machines range from residential to custom $200,000 dollar room size models for sports teams. I went to their factory in Los Angeles and watched them build them. They don't even import their motors. They have copper winding machines to build their motors and I made a video of me in an interview the last time I was there. See my warehouse walk through video on my Hypergravity review page. 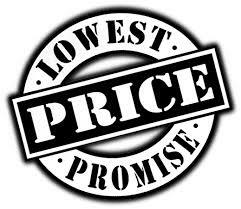 Call 1-866-945-9072 for lowest price. TurboSonic is the first and foremost in sonic technology to hit the market. 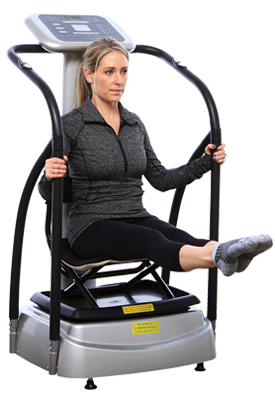 This is very popular among those who want lymphatic drainage as well as a quiet machine to get a whole body workout. 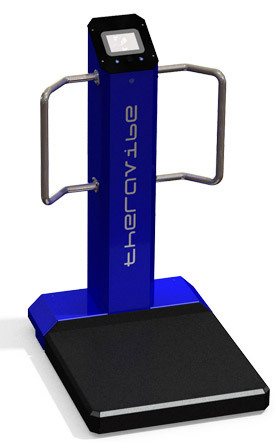 THERAVIBE SONIC ($18,000), the most expensive whole body vibration machine on the market. 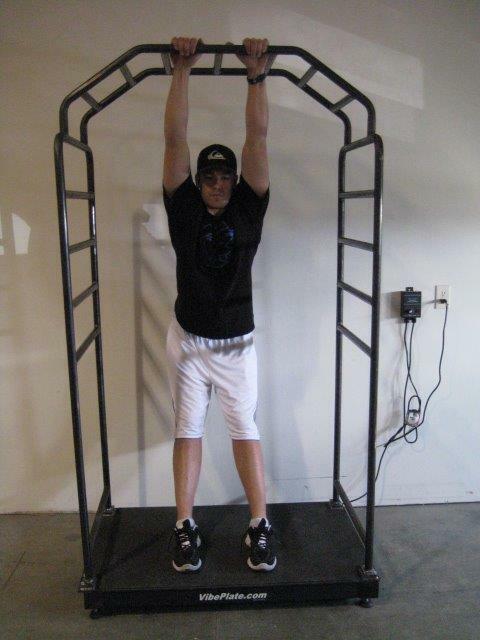 It's most unique feature is that it adjusts to the users bodyweight with its computer built in that adjusts 1000 times per second. One demo is now available. DKN is one of the popular, affordable linear machines for residential users as well as a high end line for commercial use. 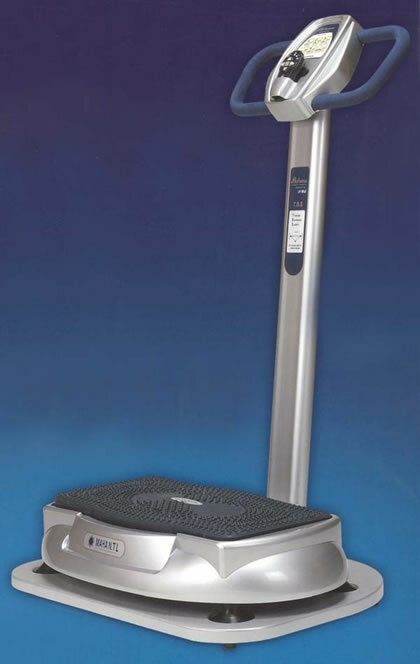 This is one of the best whole body vibration machines in its price class. THIS WEBSITE IS FOR CUSTOMERS LIKE ME! If I had someone to help or a better guide without fake comparisons, I would've saved a lot of time, headache and money. If the haters had a really good WBV, why would they care about this site? Only because their WBV is an imitation and our readers are asking tougher questions they can't answer. At least pretend yours is good like you've always been doing and making money with, right? Their lies just have to get longer and tricker I guess. Shady snakes (again, no offense to my snake friends). I've decided to put this site together as an information tool, to help anyone who could relate to this agonizing pain of getting to the truth of which WBV is really good. Shady companies messed with the wrong person...DON'T THEY REALIZE FACTS REVEAL EVERYTHING? IT'S TIME FOR AN SITE THAT EDUCATES PEOPLE ON COMPONENTS AND ENGINEERING WITHOUT BOGUS REVIEWS. More people are submitting things that they find out too, so this site will keep going and growing as long as it can be paid to keep it up to help people find it on Google. Receive a discount for taking this quiz before you call. 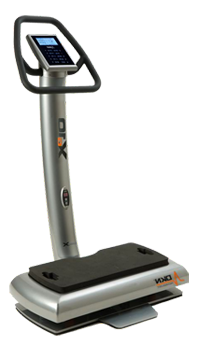 The Noblerex K1 is the only medically approved pivotal machine that I have found. I compare all the machines to the original Galileo, which was built the best but at a huge price tag. This one resembles it the most of all machines that I sell. The motor is commercial grade and all steel. Great for Heavy Usage/Gyms. Weight limit is 330 on the Noblerex K1. We have one demo model available. Call for our demo price. We do not currently sell this model. We may or may not carry this in the future. We may have demos from time to time. Call for demo model availability. 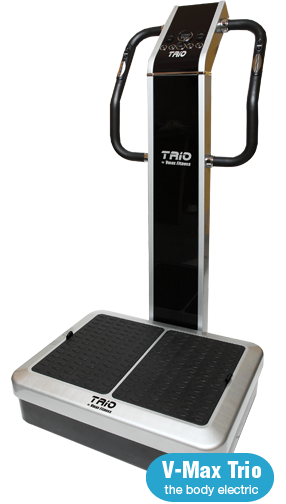 VMAX TRIO 2 is the best selling spiral model in the residential category. This has a dual DC powered Brushless motor. This reaches a low 5 hertz per second with its 27 inch plate. This is the upgrade from the Vmax Trio 1. It is still only 500 watts and 300 watts on the spiral. The Pulser 2 has 1000 watt pivotal motor and 500 watt spiral motor and is way more powerful. See all of their Spiral Models here. 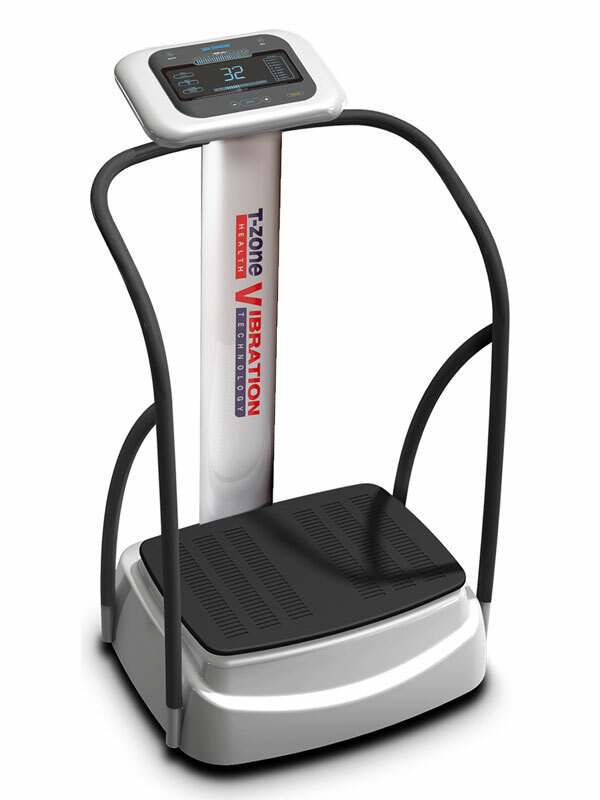 T-ZONE Vibration (2 HP) is the best selling vibration machine in Canada and now the United States. This is the model often found in chiropractors offices. These are the most popular for using on a daily basis as the G force is more gentle for every day usage. Also known as Euroshine. They have been around since the beginning. These are the machines are usually at health fairs and home and garden shows. They are one of the largest distributors of vibration machines and the service is by far the best. I have reviewed each of their models and they have a wide range of machines for different needs. They also have a foldable model as well as a vibration machine without any handles. 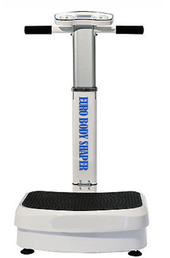 See my review of the Euro Body Shaper. Gravity Revolution from New Zealand is the latest version of this. The Original Gravity Revolution was made in New Zealand and was super expensive then the production moved to China and the prices was lowered to 3500. I still have access to these but the New Zealand ones are much better made. This is the most powerful vibration machine I have ever been on. It almost uses the entire electrical outlet. Dedicated outlet is recommended. Pulls 1500 watts. This is more powerful than even a Nitrofit Deluxe which is my 2nd most powerful. 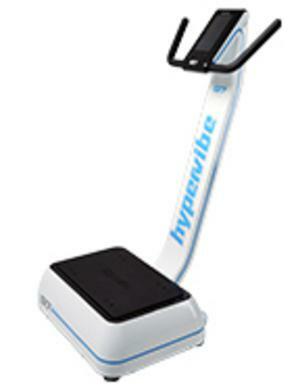 Call 1-866-945-9072 to get our 30 day money back trial on the Hypervibe. Call 1-866-945-9072 for lowest price on the Vibeplate or VibeCage. 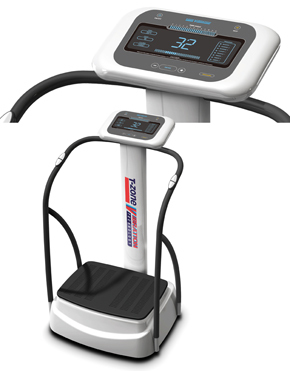 The New Pulser 2 by Vmaxfitness.com is the latest spiral machine. 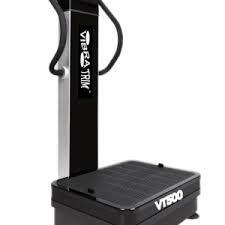 This is very similar to the Vibra-Trim VT500. The plate is a true 27 inch standing space. The Pulser has a 440 lb rating. The New Pulser 2 now has a continuous duty motor and is 1100 watts and a 500 spiral. This is the most advanced spiral machine I have reiewed. THIS IS NOW THE PROVIBE ELITE. The USA importer now stocks these and we do not have to order them from Canada anymore. 10 year warranty! 30 day money back trial. Ships from NY. Call for our new sales price. 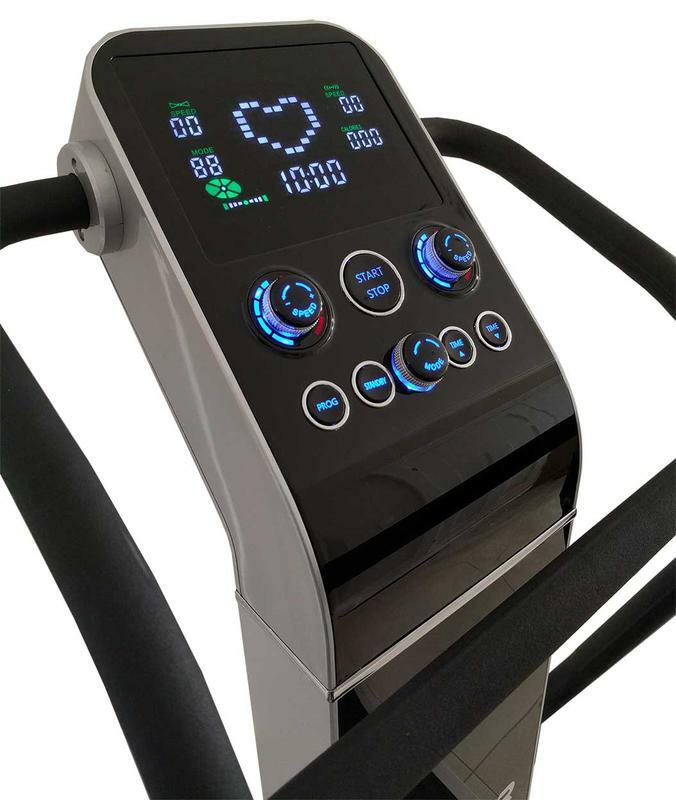 The Vibra Therapy from A Health and Beauty Connection is the most popular machine that people get to try before they buy. Most people find this model at home and garden shows that the manufacture travels to. Almost every weekend in a different state there is an expo or show they send their reps to. Their models look like others (Platinum model) but has a few bells and whistles they don't have such as their 1000 watt motor (most have 500 watts). I never have complaints with customer service with this company. We offer this machine with a 30 day trial. 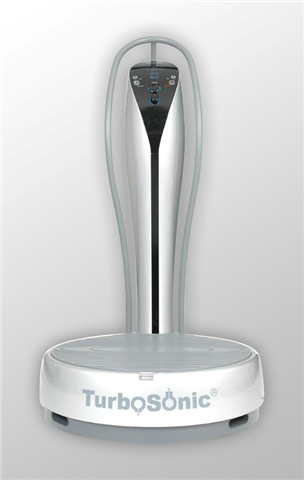 We also carry demo models with free shipping on the Portable and Platinum models. 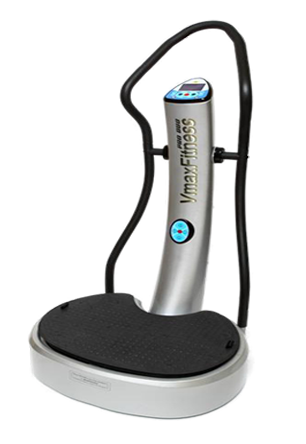 Update: I have just reviewed the New Hypervibe G17 vibration machine. I have to say this is one of the best machines I have ever used. This goes up to 35 hertz and has 7mm amplitude. Least ballistic impact. This is one of the best made machines I carry. The G force is through the entire motion. 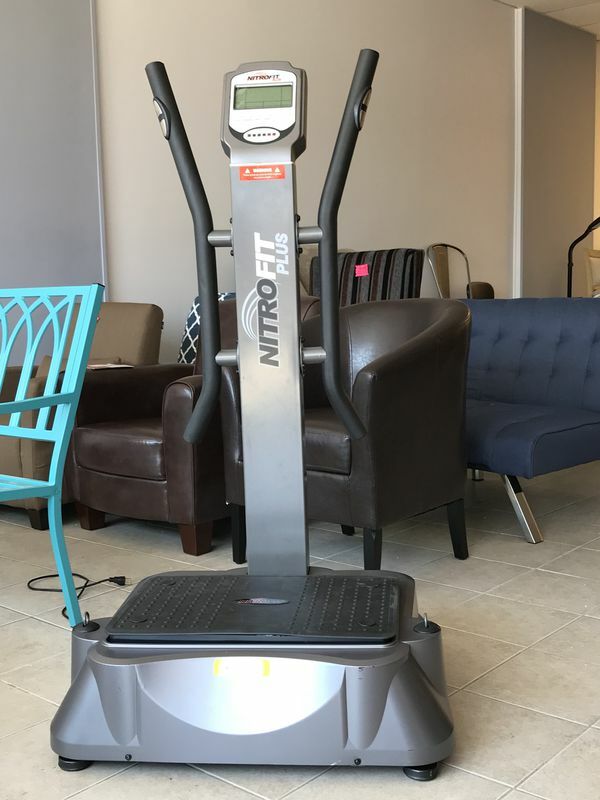 The new Nitrofit has now replaced the Nitrofit Deluxe. This is the best selling machine in Canada at Costco. 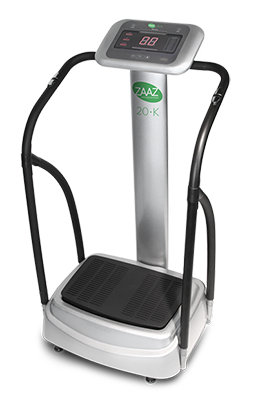 The USA Costco's have the Zaaz 20K. This machine has 286mm of displacement per second. This gives me a super high lymphatic flush and is gives a workout that you will feel the next day. Call 1-866-945-9072 to get our 30 day money back trial on the Nitrofit Plus. with the Chair and new Mats. 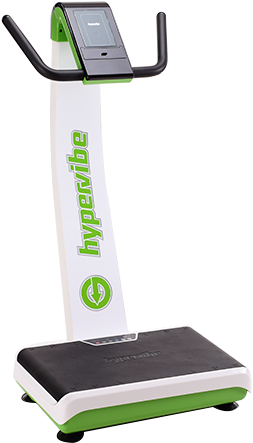 Call 1-866-945-9072 to get our 30 day money back trial on the Hypervibe G14. 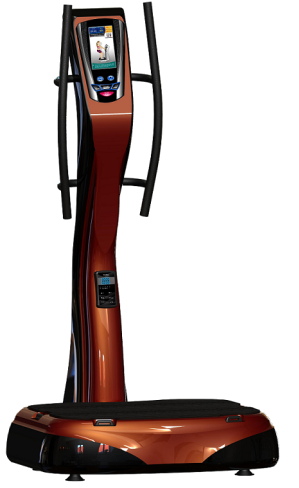 The Hypervibe G14 goes up to 25 hertz at 11 amplitude (the Nitrofit goes up to 22 hertz at 13 amplitude which is the closest comparison). I recommend this for those that can't handle 12 and 13 amplitudes but want more displacement for lymph drainage than the 10mm amplitude machines. This is the most power residential model I carry. 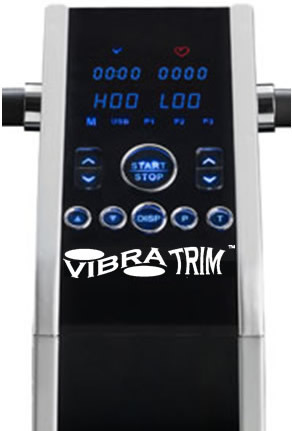 The new VibraTrim VT500 is the newest of the spiral vibration machines (4th generation). This now has a 3 Horsepower motor and is commercially built. It is the latest upgrade from the older VT500. 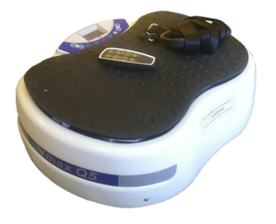 There are several features that differentiate this from the Vmax Pulser which also is 3HP. See my review. 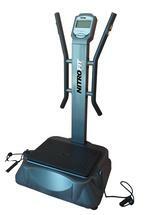 We carry the latest Nitrofit Deluxe Plus that Costco carries. 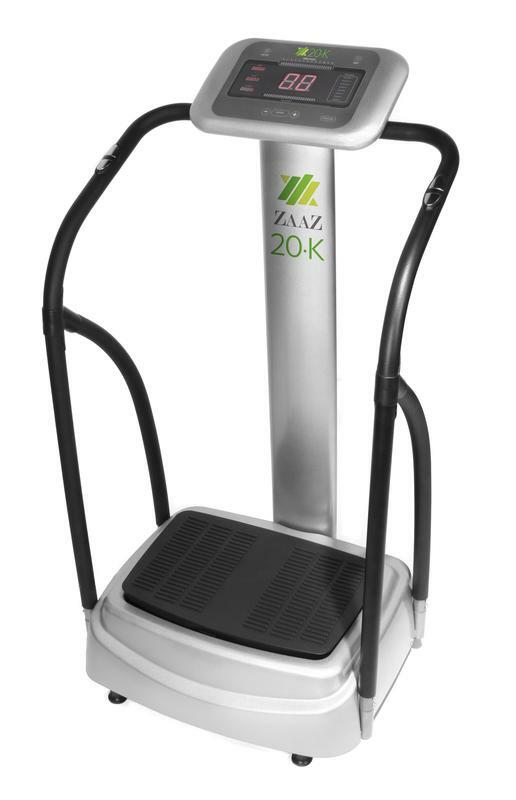 This is our best selling vibration machine over the Zaaz 20k that Cosco and Sam's Wholeale promote.